Someplace in the depths of a closet, attic, or basement, you may have an old TV, computer tower, or stack of CDs from the ‘90s. While taking your items to a responsible e-recycler is always an option, we thought it would be fun to share ways folks have turned old electronics into something new in the gallery below! There are endless ways to upcycle old technology, whether that’s refurbishing it for modern use of just for a fun DIY project! Please note some of these materials are sharp. If you decide to do an e-upcycling project, take great caution for your safety, and do not attempt these projects with tech items that contain hazardous waste like mercury, freon, or lead. Gardening with repurposed objects is a recurring theme. Planters can be expensive. Using items around the house is an excellent idea. A boom box is more unique than a mason jar and is a retro vintage eye-catcher! Have a chair with fabric beyond repair? Old cables can save the frame! This chair uses 70 cables and red cable ties to hold them in place. Cables used include: USB, FireWire, ethernet, electrical, RCA audio, iPod connectors, phone chargers and more. You can now put your glass on the table in a more geeky way! The circuit boards don’t just look nice, they were actually a part of real computers at some stage. Being produced in this way, each coaster is an environmental-friendly recycled product. One artisan who recycles computers into jewelry is Milan based Paola Mirai, the creator of Cirkuita collection. Paola meticulously dismantles unwanted gadgets and upcycles them into new jewels. Two old Mac towers became an office table in this project by Re:form Designs. Approximately 70% of the materials that go into the table are recycled. Old Cd’s turn into great craft supplies as they are free (we all have them lying around) and flashy! Cut them up into pieces, glue the pieces on a cardboard frame and slap some fabric paint to fill in the space between. Voila! There is a huge variety of fun and functional things that you can achieve from these tiny yet practical keyboard keys. Taking out the keys and securing them to a new object can get you a whole new and creative item like jewelry, paper clips. 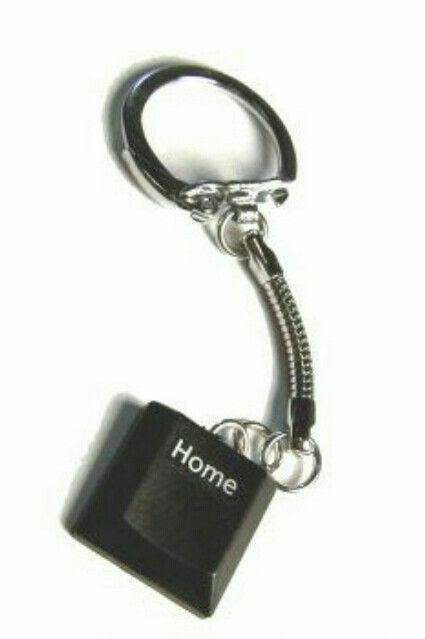 or a keychain. These massive satellite dishes were popular for less than ten years. Now they’ve been discarded all over the country. They were bulky, complex, expensive, and they became useless. Until now! This pencil box was on exhibit at Chicago’s Museum of Science and Industry as part of their Smart Home 2009 Exhibit. The makers said this item was constantly sold out! It’s no longer available for purchase on their site but it’s still very cool and funky! For those of you who are ready to retire your old tech, Sunnking has residential electronics collection events in the upstate N.Y. area throughout the year. You can view the schedule by clicking below! Have more e-recycling questions? Feel free to give us a ring anytime at 585-637-8365 or email us at info@sunnking.com. You can also learn more by visiting our website at www.sunnking.com. Buffalo, NY – June 18, 2018 – Sunnking, an electronics recycling company based in Brockport, NY, presented 30 refurbished laptops to the Boys & Girls Clubs of Buffalo. When Sunnking heard the news that $32,550 worth of tablet computers were stolen after a vendor failed deliver them to the Boys & Girls Clubs, Sunnking stepped in to provide replacements. The gift will be used for children attending the Boys & Girls Clubs. Shine presented the donation to Boys & Girls Clubs of Buffalo staff and children during a special presentation on Monday, June 18, 2018 at the Butler-Mitchell Clubhouse, 380 Massachusetts Avenue, Buffalo, NY, 14213. Founded in 2000, Sunnking, Inc. is New York State’s first R2/RIOS Certified electronics recycling, data destruction, and IT asset management company dealing in end of life electronic equipment. With facilities located in Buffalo, Brockport, and Syracuse, NY, Sunnking specializes in collecting, refurbishing, reselling, and recycling electronic products from residential, commercial, and municipal customers. For more information, visit www.sunnking.com [sunnking.us8.list-manage.com], call 585-637-8365 or email info@sunnking.com. The Boys & Girls Clubs of Buffalo’s mission is to provide a safe and stable experience that assures success is within reach of all our members and that they graduate from high school with plans for their future and that they are living a healthy lifestyle. Annually serving over 3,000 children at ten Clubhouse locations throughout the city of Buffalo, the Boys & Girls Clubs of Buffalo is a credentialed New York State child care provider for after school and summer programming for children 5-18 years of age. Throughout each year, Sunnking representatives, including myself and our CEO, attend numerous conferences. We learn new ideas and trends, network with peers, and can position ourselves as an active member in our industry. These benefits allow us to make strategic decisions that ensure we capitalize on our investment. We highly recommend others to attend conferences and applaud those of you who already do. Below are examples of some meetings we find worthwhile throughout each year. One of the most important conferences for us is the ISRI National Convention every April. It is the largest event in the recycling industry. The 25th annual meeting this year had over 5,100 people in attendance. Some trending topics discussed were the economic consequences of China’s decision to stop importing certain materials, regulatory issues, and worker safety. From massive cranes to giant shredders and separators, the recyclers at this expo are paving the way to a more sustainable future and we love being a part of that. Additionally, we go to the Electronics Reuse Conference (ERC) in October where we discuss best practices and build relationships that keep the industry moving forward with the most efficient and sustainable resale processes. This is a key conference for any electronics recycler that wants to look at the benefit of reselling usable components. Many in the industry focus solely on recycling, however, being able to re-purpose, reuse, refurbish and resell is a key differentiator and this conference focuses on those opportunities. Other conferences focus on different aspects of the business such as sales. Our Product Sales Manager recently attended the Catalyst 2018 Conference hosted by Channel Advisor to get the latest e-commerce information to help with our online sales channels. Our Business Development Manager recently went to the NAID Annual Conference & Expo with the largest concentration of secure data destruction professionals to further develop our sanitization procedures. These are just a few examples of the many opportunities available for professional development. We are motivated and continuously grow by attending conferences. It is critical to stay on top of the latest trends in our industry. These can include topics related to safety, new recycling techniques, data destruction and new platforms/opportunities for resale. By keeping our company engaged in various shows it increases our visibility and helps make us a market leader. We encourage others to attend conferences to experience firsthand all the benefits that will prove valuable to the mission of making your business successful.